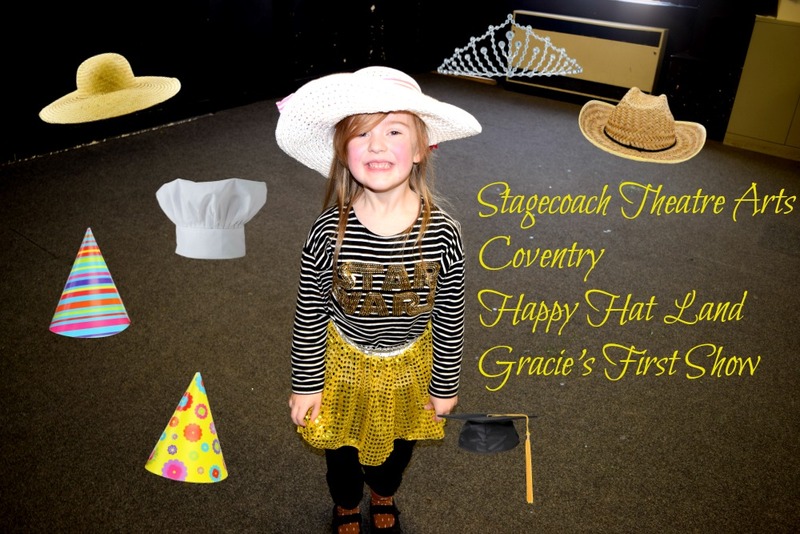 Back in January, Gracie started her first term at Stagecoach Theatre Arts. Back when she started, I wrote a post about what we were hoping to get out of the experience. The main aim was to boost her confidence and find something she would really enjoy. She has recently finished the first term and her and her new friends put on a performance of 'Happy Hat Land' for us parents to see their progress. What I saw shocked and amazed me. Gracie was one of the loudest in the room and not once did she look scared or even aware of the fact she was performing in a room full of people. This is despite her worrying beforehand that she wouldn't remember the words of the songs. She did so well! She was very quiet when talking solo but when talking as a group or singing she just went for it. We did have a little laugh afterwards (not in front of her) about how she looks so serious as she is in full concentration mode when performing. I was so pleased that I was given permission to film the performance and I have put together a video of it showing some of Gracie's best bits. It has taken me a while as I had so much footage to go through and edit and tried my best to keep it short and sweet. I am so pleased with the teaching at Stagecoach. All the teachers are lovely as is the principal and they all go out of their way to make each individual child feel important. They remembered all of the children's names from the start and greet them by name as they arrive. They ensured all of them had equal parts in the performance so no one would be upset, as they are all still young in her class. The one day I got stuck in traffic running late to fetch her, I got there in a panic expecting Gracie to be upset but actually found her sat with the principal watching the older children in their lesson and was about to join in with them! It is such a lovely relaxed atmosphere. The children can express themselves and they all just seem to love it. I didn't have to think twice about keeping her on this term and look forward to seeing how much more she blossoms over the next few months! Drama is great at building confidence. Sounds like a great group to send kids.